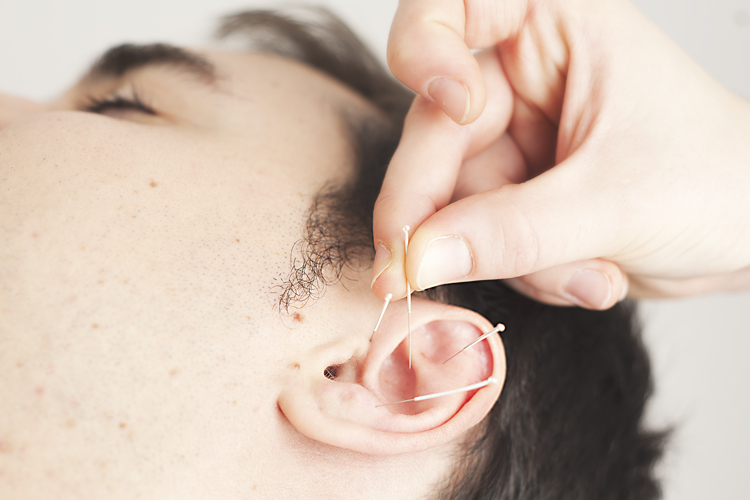 Auriculotherapy is the stimulation of acupuncture and reflex located on the ear, using needles, micro-massage or patches (seeds, magnets). Auriculotherapy is both a method of diagnosis and a treatment system: the same reflex points will be reactive or painful when there is a pathology related to those points’ associated organs or body system. By stimulating the points, they send information to the nerve centers of the brain through reflex pathways, activating the body’s natural mechanisms to address the problem and self-healing. Although it has its origins in Traditional Chinese Medicine, it was the French Nogier who said the ear pavilion resembles the shape of an inverted human fetus in the womb. Following this correspondence, more than 150 points are described in the ear, which can be used in a wide range of disorders or diseases. In what cases may auriculotherapy be helpful? 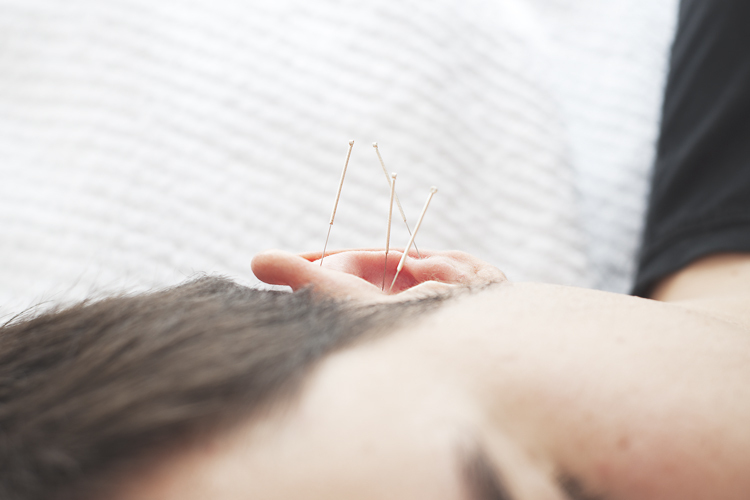 Although the most common method of treatment is needling the reflex points, it is also effective stimulating the points with a micro-massage, with patches of seeds or small magnets,, or even with a mini-moxa. How is a typical auriculotherapy session? The first visit takes usually one hour: we will analyse in an interview the issue to be treated, and will select the appropriate points according to the symptoms and Traditional Chinese Medicine principles. This will be followed by a first treatment. The following sessions will be approximately 30-45 minutes. During the session you will be lying comfortably. The needles are usually left between 15 and 30 minutes, until the points are no longer “reactive”. The frequency of sessions varies depending on the acuteness of symptoms, from 2 or 3 per week, up until a session every 15-30 days. The total number of sessions is usually between 5 and 10. Auriculotherapy is a very good complement of shiatsu, both techniques can be combined in one treatment (see “Integral Wellness”). In order to extend the effect of the session, in some cases both needling and seed/magnet patchers will be used on the more reactive points. Zen Shiatsu, Kobido, Thai Yoga Massage, Auriculotherapy. 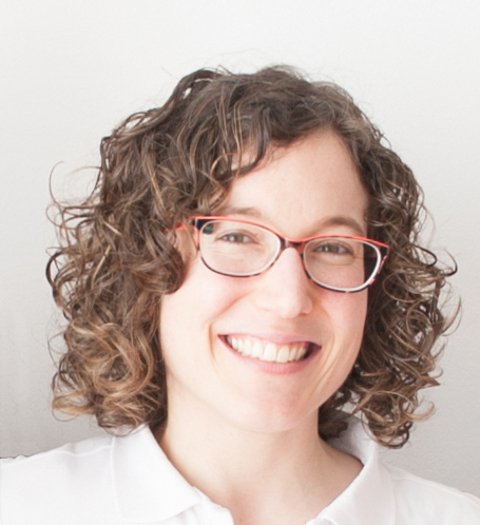 I’m a computer engineer who one day decided to leave her job behind to devote herself fully to her passion: Shiatsu, Traditional Chinese Medicine, health and wellness. I launched AMALUR ZEN in 2011 as a blog about health and Shiatsu, while working as a massage and Shiatsu therapist in different centers of natural therapies in Barcelona. In 2013 I opened my own center “AMALUR ZEN ~ Integral Wellness”, sharing the space with a multidisciplinary team of therapists for almost 5 years. Now you can find me in Vitoria-Gasteiz, offering sessions of Shiatsu, Kobido, Thai Yoga Massage, teaching Acroyoga, and enjoying a simpler and quieter life. You can also find me working in Barcelona from time to time. Do you want to know more about my story?